Assume an S corporation is owned 50-50 by two individuals, and one wants to buy out the other. This transaction will not come within the scope of the transactions where a § 338(h)(10) or §336(e) election will be applicable, so there is no “easy” path to get (mostly) capital gain to the seller and a full step-up in tax basis to the buyer. The question, therefore, is how best to implement this acquisition in a “tax efficient” manner. One common way to structure this transaction is to have the S corporation redeem the 50% interest of the exiting shareholder. However, this structure uses after-tax dollars and there is no increase in outside tax basis for the remaining stockholder. Instead, the potential tax basis from the redemption transaction “disappears” into the treasury stock of the S corporation. Alternatively, the S corporation can distribute out its cash assets to the existing S shareholders in an amount equal to the existing outside tax basis of the S shareholders (normally the outside tax basis will, at the very least, exceed the cash amount in the S corporation), and then the acquiring shareholder can use these funds (and possibly other personal funds) to acquire the stock from the selling shareholder. There will be a necessary and appropriate reduction of purchase price (the value of the corporate assets just got reduced by the amount the cash distribution) and, under this structure, the purchaser can buy the stock of the seller and get a step-up in outside tax basis. To be sure, this does not produce the same immediate tax benefit as a step-up in inside tax basis, but at least this outside tax basis can eventually be used to reduce realized gain when the S corporation is sold or liquidated. The larger problem is that the distribution of cash by the S corporation reduces outside tax basis in the continuing shareholder, so it has never been clear that its alternative structure really accomplishes very much, as illustrated by the following Example 1. Assume S corporation is owned 50-50 by A and B, who provide professional services, and the S corporation has two assets: $1 million in cash and goodwill worth $1 million. Assume A and B have non-competes with the S corporation, so that their “personal goodwill” belongs to the S corporation. Assume A and B each own 100 shares of common stock (a total of 200 shares issued and outstanding) and each have $500,000 of outside tax basis (representing the income earned by the S corporation and not previously distributed — this explains the $1 million of previously taxed income accumulated at the S corporation level). Redemption Scenario: If S corporation redeems A’s 100 shares of stock for $1 million, the result is that A’s stock “disappears” into treasury stock, B holds 100 shares, with $500,000 of outside tax basis, and a $1 million asset, namely, the goodwill. Distribution/Purchase Scenario: Assume instead that S corporation distributes $1 million of cash, $500,000 each to A and B. Immediately after this distribution, A and B how have zero outside tax basis in their respective shares of S corporation stock. B has $500,000 of cash (B’s share of the distributed cash) and the S corporation is now worth $1 million (the goodwill is the only asset following the distribution of all cash) and so B would logically purchase A’s 100 shares for $500,000 (50% of the post-distribution asset value). As a result, B now holds 200 shares of stock; however, B’s outside tax basis is $500,000 (his starting outside tax basis of zero plus the purchase price for A’s shares of $500,000) and the S corporation holds only one asset, the goodwill valued at $1 million. Conclusion: B ends up in EXACTLY the same place under either transaction path. 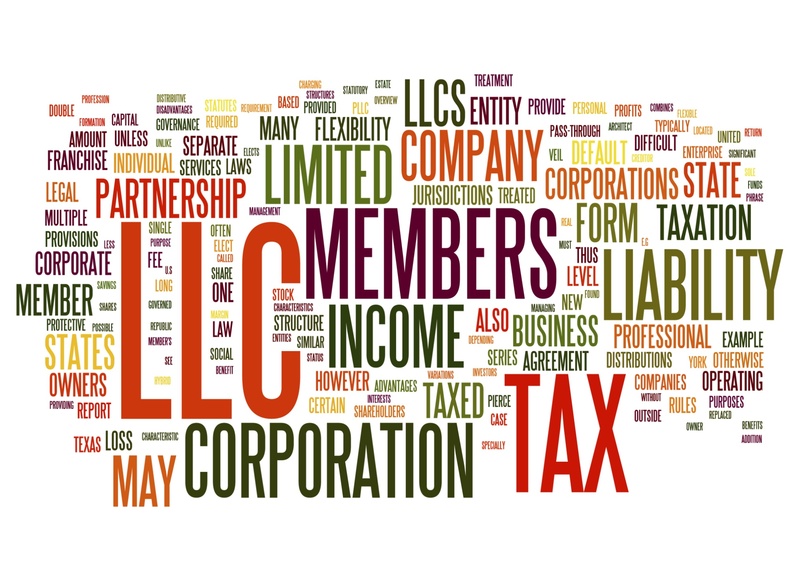 An alternative strategy that may have some income tax benefit is to have a buyout of S corporation stock coupled with what are sometimes referred to as “parallel payments.” In general, the parties often want to pay for a departure by allocating taxable income and/or compensation payments to the departing person (which can pretty easily be characterized as consulting payments) so that the buyer is using pre-tax dollars rather post-tax dollars in connection with the transaction. This tends to be an “efficient” arrangement in stock acquisitions generally, and, where appropriate, can help achieve tax efficiency in structuring acquisitions of an S corporation. Same facts as above, except that after distribution of the cash in the second structure, A and B agree that A will provide consulting services to the S corporation for a period of five years, for payments of $150,000 per year. This is found to be a reasonable arrangement in this case because A can help B fully enjoy and exploit the goodwill of the S corporation. Assume, for the sake of mathematical simplicity, that A and B each pay 50% income tax rate and a 25% capital gains rate. In the distribute/purchase scenario, B must earn $1,000,000, to keep (after tax) $500,000, to pay to A, with a resulting outside tax basis in B’s stock that cannot be amortized or depreciation and may in fact have little value until the S corporation is liquidated – often well into the future. A, meanwhile, pays 25% capital gains tax, and nets $375,000. Under the parallel payments paradigm, A received $150,000 per year, nets $75,000 per year, and after 5 years has $375,000 in after-tax benefit. B, meanwhile, foregoes $750,000 of income, on which he would net $375,000, and so his after-tax cost for the payments is $375,000. Conclusion: B effectively “pays” $375,000 in after-tax net cost to “give” A $375,000 in after-tax net benefit. This is potentially more “tax efficient” transaction than either of the two “common” scenarios set forth above, and may be an arrangement that can be justified in the appropriate factual circumstances.